Daniel M. Bodansky is a preeminent authority on global climate change whose teaching and research focus on international environmental law and public international law. He teaches courses in international law and sustainability and is a key player in the College of Law’s new Program on Law and Sustainability. He has served as the climate change coordinator and attorney-advisor at the U.S. Department of State, in addition to consulting for the United Nations in the areas of climate change and tobacco control. Since 2001, Bodansky has been a consultant and senior advisor on the Beyond Kyoto and Pocantico Dialogue projects at the Pew Center on Global Climate Change. He serves on the board of editors of the American Journal of International Law, is the U.S.-nominated arbitrator under the Antarctic Environmental Protocol, and is a member of the Council on Foreign Relations and the American Society of International Law. Awards include an International Affairs Fellowship from the Council of Foreign Relations, a Pew Faculty Fellowship in International Affairs, and a Jean Monnet Fellowship from the European University Institute. 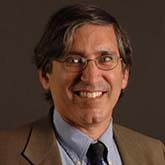 He co-edited the Oxford Handbook of International Environmental Law, and is the author of the Art and Craft of International Environmental Law which was awarded the 2011 Harold and Margaret Sprout Award from the International Studies Association as the best book published that year in the area of international environmental politics. Bodansky, D., S. Klinsky, M. Milkoreit and J. A. Swofford. 2016. COP21 Case Critical: Postcards from Paris. Presentation at the Case Critical panel sponsored by Julie Ann Wrigley Global Institute of Sustainability, Center for Law & Global Affairs, and the Sandra Day O'Connor College of Law, 20 January 2016, Arizona State University, Tempe.